Members of the Virgin Bingo website will be happy to see the popular gaming platform returning to its Hundreds & Thousands promotion throughout the month of June and the beginning of July. The free jackpot competition continues to grow in value, giving lucky players the opportunity to win cash that ranges from £100 to £1,000. As part of Virgin Bingo 2010 Fifa World Cup Free Bingo games, the Hundreds & Thousands promo continues to pay out members increasingly larger rewards. The Hundreds & Thousands competition initially started out with £100 free jackpots but went on to grow to £200 then £300 and currently sits at £500 for its semi-final stage. The Final Game conclusion to Hundreds & Thousands will peak at an impressive £1,000. The current semi-finals offer an hour and a half of free bingo and bargain bingo (along with the chance to win £500). The Final Game will take place on Sunday, 11 July as the World Cup comes to a close. With so many chances to win £100 to £1,000 Full Houses, bingo fans are sure to be busy online as Virgin Bingo helps celebrate the the 2010 World Cup. Virgin Bingo is also running a number of other free and reduced price games (like the Free Daily Scratchcard and cheap entry Tournament Thursdays) as regular site features, making every day a great time to play. 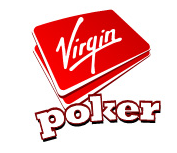 A few weeks ago we did a review of Virgin Poker. Now we have supplemented this by adding a review of the Virgin Casino. We will be working our way through all of the Casinos and Poker Rooms on our site and adding reviews for all of the sites. We actually use these sites here at Findabet.co.uk so we can add value in showing you how to get these sites to work and also how to make money from them.